When you have type1 diabetes, your doctor prescribes you to undergo insulin treatment. Your body cannot produce it, so you help your body with external intake. Why insulin treatment is so important to you? Everything you eat, your body can digest it and use it as a source of energy, or to build body cells or for any other function. The same occurs when you eat sugary foods. Their sugar is broken down in carbohydrates. And carbohydrates are digested from intestines, and run in the bloodstream. Anyway, your body cells still cannot use them, because they need the presence of insulin. When you have type1 diabetes, your pancreas (the organ which is responsible for its production and secretion) doesn’t produce it at all. So, even if you eat lots of energy foods, your body cells still cannot use the carbohydrates for their need, they are starving. The only thing that happens to you is the high blood sugar level, and if it persists it can lead to severe complications. In order for you not to undergo to these severe complications, you must take external amount that you body needs through insulin treatment. Although your physician can prescribe you to take it, you must educate yourself on what is it and what are its principles of use. For the first time, it was discovered in the latest 1920’s by one professor and his student (Banting and Best) in dogs. Then, many years ago, from many studies done, it was come out with commercial insulin treatment used for diabetic people. The first commercial one was prepared from cows (called bovine) and from pigs (called porcine). They are still in use even in our days form most of the diabetics. But, these types' of insulin side effects, because of the reaction that immune system expressed toward them. Why? Because, since they were prepared from cows and pigs, they contained some proteins and substances that human body considers “foreign”, and try to eliminate them. But with the cost of a very severe immune reaction. And the harm could be much more than the benefit. To avoid this reaction, in the 1980’s was prepared the first human type to be added to insulin treatment. Even in our days, it is successfully prepared and used by new technologies available. From the 2006 FDA didn’t allow the use of bovine and porcine type anymore in US. Instead, FDA recommended human insulin treatment for type1 diabetes. Which are the types of insulin available? Also, you need to learn about how to use the type of insulin you're taking. You cannot take it orally (that is by mouth), because it will be destroyed by digestion. Instead, it is recommended to most of people to take as shots or other ways such as: insulin pens,jet injectors, and pumps. These are the only ways for the moment for you to take it in the complex of insulin treatment. Meanwhile, scientists are trying to find other ways to get insulin into the bloodstream, and have no longer need for needles or shots. Despite the intake prescribed by your physician, you must care about your body and especially your blood sugar level. 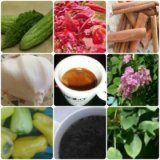 You can try natural cures for diabetes together with insulin treatment and see what they can do to make your reduce the times of its intake.